Immensely popular in Europe, pellet heaters are quickly building a following among Australian households as an alternative and economical heating source. Pellet heaters combine the traditional characteristics of wood burning with digital advantages to create a completely customisable heating option. But as it a somewhat unknown entry into the heating market, customers have little resources to turn to for information. We pulled together our best information to give you a quick guide on pellet heaters, so read on to find out more! What is a pellet heater? 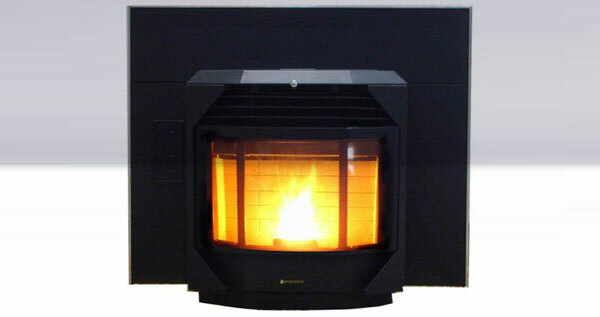 A pellet heater is a type of wood-fire heater that is fuelled by small wooden pellets sourced from renewable timber plantations. The pellets are made from pressed churned wood. What’s great about a pellet heater? It’s a mostly ethical source of heating – pellets are sourced from renewable timber plantations across Australia, meaning less freight and more support for the local economy. Pellet burning is basically carbon-neutral – as the timber plantations that create the pellets are ethically managed and renewed, using this source for heating is virtually carbon neutral. You don’t have to stoke it much – most pellet heaters have integrated bins that allow you to store many loads of pellets. The storage and handling pellets is relatively easy – unlike firewood, pellets can be easily carried, stored and handled. This means that if you’re dealing with a small space, or you can’t realistically manage the bulk and weight of firewood, a pellet heater is perfect. They’re economical to run – pellets are generally more affordable than oil and electric-resistance heating sources. Pellets offer a relatively clean burn – with the aid of the internal fan, air is pumped directly onto the fledgling flames. This means that more of the combustion turns into heat and less into smoke. What’s not so great about a pellet heater? They depend on electricity to run – unless otherwise stipulated, most pellet heaters can only operate when hooked to the mains. This is because of the metal element that starts the combustion process inside the heater, and the separate fans that fuel the fire and pump heat out. They are generally noisy – as mentioned in the previous point, there are two fans that create a constant noise during operation. You don’t get radiant heat – pellet heaters operate by pumping warm air out, so it’s great for heating a space but not for idling away in front of. Heaters need regular serving – with so many moving parts and sensors pellet heaters require annual servicing, so this is an expense to keep in mind. Pellet heaters make an excellent heating addition to the family home – they offer economy, easy handling, and great heating. If you would like more information on whether a pellet heating is suitable for your home, why not contact our expert team who can show you a range of models and options. You can visit our website https://www.sydneyheaters.com.au/ or call us on 1300 938 346.